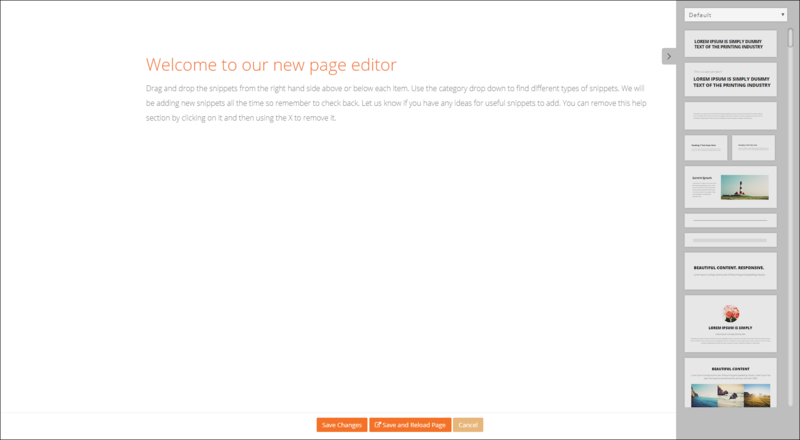 We've just released the beta version of our new page editor. It's available on the main page editing areas of the public website features. As this is a beta version you still have the option to use the current editor but the new editor should behave well in most situations. It would be great if you could report any issues or bugs you experience. For more info on how to edit pages using the new page builder visit the new support document on using the drag and drop editor. When you click on an "Edit Content" button that has the new editing available you'll be presented with a choice to use the new editor. If you click the "Try the page builder" option you'll be taken to a new page to edit the content. On the right hand side you'll see a default set of templates you can drag onto the page. You can use the dropdown list to select a category to filter the available sections. 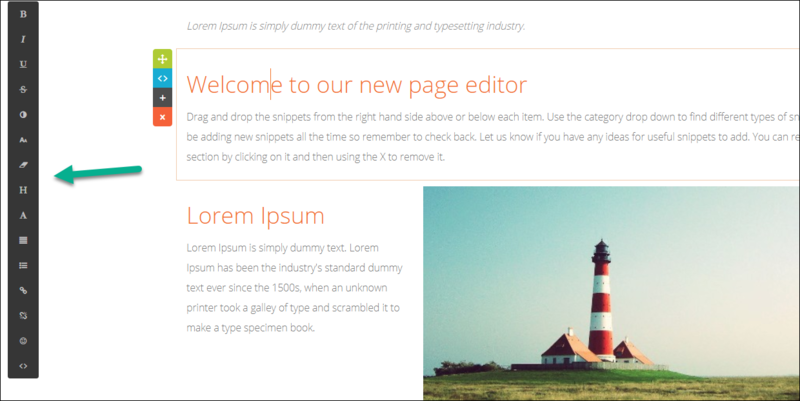 You can drag any of the templates onto the page either above or below the existing content. You can remove unwanted snippets by clicking on them and using the controls. You can edit text etc by using the tool bar on the left. You can use the code editor to edit the raw html of individual sections. 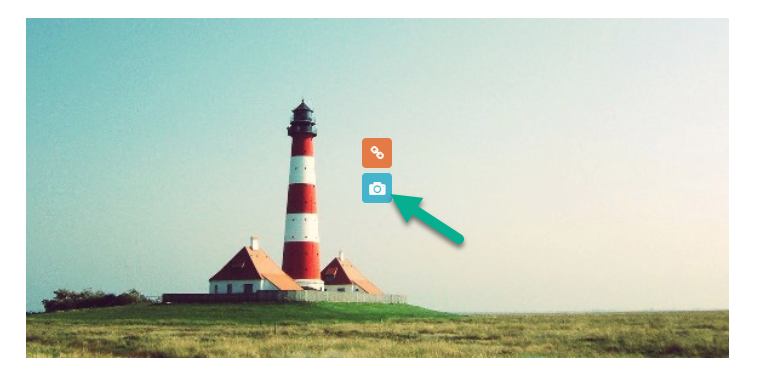 You can upload your own images by hovering over an image and clicking the camera icon. After uploading an image you can drag the image to crop and use the + - buttons to zoom it within the dimensions of the image. You can switch out icons by clicking on the icon and selecting an new one. To close the icon selector after selecting an icon click outside of the icon selector box.